This is a glass bonding adhesive that is used to install auto glass on a majority of vehicles worldwide. It is the perfect choice when restoring your windshield and all other auto glass structures to the original strength and specification. It will meet long-term durability requirements for structurally bonded/direct glazed automotive glass, such as windshields, backlites, quarter glass and other stationary glass. It provides primerless to glass convenience with excellent workability, sag resistance and gives convenient drive-away times. It is easy to use and does not require heating. 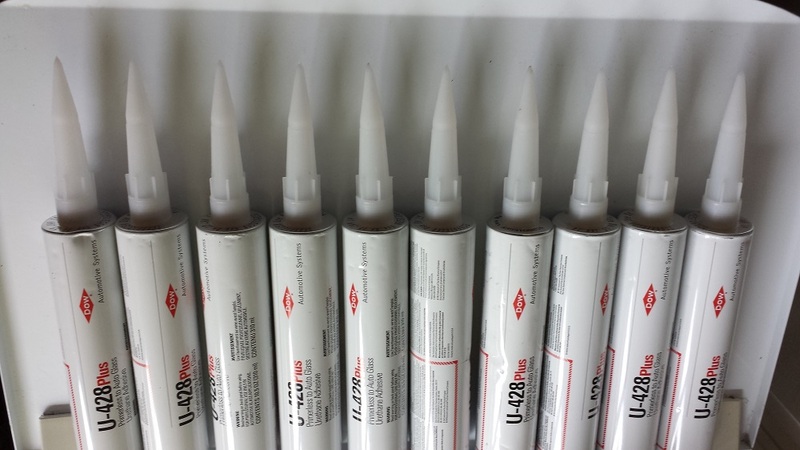 You are buying 10 tubes of auto glass adhesive.